Massachusetts, the Bay state, might be the 7th smallest state of the nation but it registers some of the America’s most epochal and monumental events in the history. The State is the third most populated state of the nation, with its economy also placed sixth on highest per capita income list. The “Harvard State”, as I call it, is due to the fact that it is the home of the nation’s oldest higher education university i.e. the Harvard University (est. 1636). Agriculture and Food industry are the mainstays of the economy. The State is also well recognized for producing some of the famous political families such as the Kennedy Family. MHA working under the guidance of the Massachusetts Board of Nursing has improved the health services in the state. The health care industry is also on uprising and progressing forward. What is the Massachusetts Board of Nursing and what are its objectives? Massachusetts Board of Nursing, more commonly known as Massachusetts Board of Registration in Nursing, is the administrative board of nursing programs and operations in the state. The board is a division under EOHHS (Office of Health and Human Services), that looks after the certification, Licensure and Registration of various Professional Nurses in the state. The Board promotes safe and fair practice to safeguard the health and welfare of the state residents. The Board’s objective is to enforce the various nursing laws and regulations in the state. The Board is responsible for taking any decision and acting on any issue related to nursing in the state. What is the extent of Board’s Authorities and who looks after the Board’s decisions? The Massachusetts Board issues are not handled by a single person. The Board decisions are taken in the board meetings, which are open to public knowledge and the report is submitted to the higher health departments. The Board’s scope is much wider and it is authorized to amend, adopt or repeal the regulations as per the necessity. The Board is also authorized to cancel your license or reinstate any professional’s license depending on the conditions. 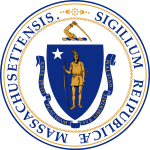 It takes decisions on the complaints registered in the Abuse Registry of the state and has to follow the guidelines specified in the Massachusetts General Laws, which contains various sections for describing the role of the Board of Nursing in the state.